Dr. Phil McGraw is a former psychologist, perhaps best known for his popular afternoon talk show. He has written several books geared toward self-improvement, including The Ultimate Weight Loss Solution. 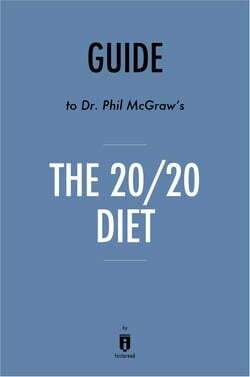 Since the publication of that book ten years ago, dietary research and his own insights into the nature of weight loss have inspired him to write The 20/20 Diet Book. This book offers an approach to weight loss based on eating the right foods, performing the right exercises, and using techniques from psychology to harness control over food cravings.